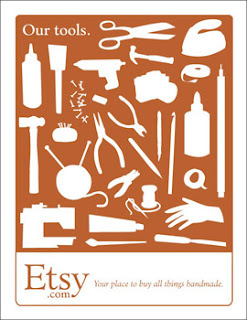 For those that sell and / or buy from Etsy, there's an excellent article over on Design*Sponge by Ashley Jennings, an Etsy seller at Paisley Ann Design. She offers some valuable advice for using Etsy web apps to better organize and optimize your Etsy account. Check out her top 10 picks here.